For over 25 years, Attorney Neil Burns has helped Cambridge car accident victims win fair compensation for their personal injuries. Neil Burns’ and Roshan Jains’ compassion towards the injured parties and his uncompromised thoroughness make their work effective, and the have assisted thousands of motor vehicle accident victims claim the reimbursement to which they are entitled for their personal injury, medical bills, lost wages, and property damage. The Law Office of Burns & Jain offers free consultations and file review. There is never a fee until we win. Cambridge, Massachusetts is widely considered the heart of the Boston area. Youthful and vibrant, it is home to some of the world’s most prestigious educational institutions, including Harvard University and Massachusetts Institute of Technology. Cambridge’s most famous neighborhood is Harvard Square, where street musicians, chess competitions, and public performances sculpt a vivacious atmosphere. The court ofMiddlesex County, of which Cambridge was part, was technically abolished in 1997. Now, the Third District Court bases its operations in Medford, and the Superior Court has transferred to Woburn. Middlesex County remains a geographical and political fixture in the region. It is importance to seek the guidance of a skilled personal injury lawyer after an accident to help sort out the details. In the chaos associated with a vehicle collision, important facts can be omitted from or inadvertently altered in police or accident reports. 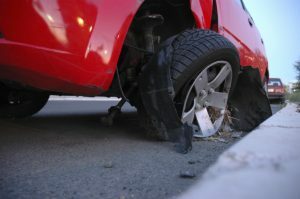 Car accidents bring up questions of liability: you may ask yourself, “who is at fault?’” or, “How what will happen if I or the other driver is uninsured or underinsured?” The experienced attorneys at The Law Office Burns & Jain will sit down with you and clarify the story of your collision in order to achieve the best possible settlement. 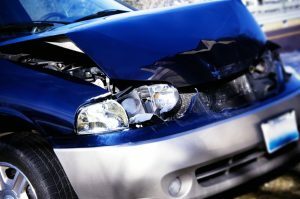 If there are conflicts regarding the succession of events in a vehicle collision, our attorneys will work with traffic professionals to reconstruct the accident and reveal the facts. Of course, the first step in addressing an injury is medical treatment. With immediate health concerns taken care of, the next step is seeking out a qualified personal injury lawyer. You may find the articles on our injury blog helpful in thinking about your own case. Learn the latest Cambridge-area road accident news with stories about car seats, underinsurance, and motorcycle safety. When you are injured in Cambridge, and your case is not resolved in a claim against the insurance company, we file a lawsuit. Cambridge District Court is now in Medford, and the Middlesex Superior Court is now in Woburn. The more serious injury cases are filed in Superior Court. The first step in any lawsuit is an exchange of “discovery” documents, including written answer to questions called interrogatories. There will also be a “deposition” which is giving testimony to the insurance defense attorney about how the car accident happened and how your injuries have caused you pain and suffering. Most cases will settle after some discovery, after a pretrial conference at the Cambridge District Court or Middlesex Superior Court, or at a mediation. You need aggressive, experienced, and caring representation to fight the insurance companies in Cambridge. The Law Office Burns & Jain is located at Six Beacon Street, Suite 600, Boston, Massachusetts. For further Cambridge injury questions, please call 617-227-7423.